Established in 2005, Aspray is led by Managing Director, James Whittle, James has over 30 years’ experience within franchising and business development. Aspray works with a wide range of introducers to help smooth the claims and repair process for both residential and commercial property owners. We can help our customers save time and ensure they receive a fair settlement from their insurer. As an appointed representative of Aspray you will manage Property Damage Insurance Claims, using vetted contractors on each claim. As an appointed representative of Aspray you will ensure that each property is reinstated to its previous condition as swiftly as possible. To ensure our customers are treated fairly and with respect at all times. To support our growing network of franchisees in building their business to the income level they seek without compromising integrity. Support customers throughout the UK and continue to ensure their best interests are protected at point of claim. Aspray have a stringent recruitment process to help them identity suitable candidates. Do you have the attributes of an Aspray Franchisee? The ideal background of a franchisee will be either Project Management, Quantity Surveyor, Financial Services, Building Maintenance or Management. However, applicants from other backgrounds will also be considered, provided they can demonstrate the skills required to person the role. 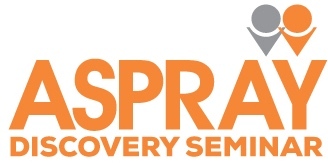 If you have the above attributes, come along to our discovery seminar, an Aspray discovery seminar gives you the opportunity to see for yourself how the Aspray service works and why many customers enjoy its benefits. You will also meet at least one Aspray director, and have the opportunity to introduce yourself. During the seminar you will be privy to reasons why Aspray is an award winning service provider and many of its clients and introducers. Just as importantly, we will discuss the extra ordinary income opportunity available for credible and driven individuals. Seminars are held across the UK at periodic times throughout the year. An interview with Jack Connor, Aspray's Franchisee of the Year 2014. Please complete the short form below to request more information from Aspray. If you choose to register an account, in the future you will be able to login using your email address and password to quickly request information from other companies.